I always ask this question of the measurement advocates: "If you're so enamored with measuring people why don't you tell them you'll let them go home when they meet their bogie?" Most people would be home by 2:00 P.M. in a normal workday. Dr Deming point 11 argues quotas or production targets are counter productive to actual production, quality and improvement. To understand this argument, we must first understand management reasons for using quotas. Management creates numerical quotas or targets for their employees to meet because they believe these targets set a standard and provide a basis for employee performance reviews. Management wants employees to understand and meet their performance requirements. Targets can be easily communicated and shared with the employees. If the employee meets the target then they perform accordingly and they will not encounter repercussions. Management feels targets ensure reliable production quantities. With these quotas, management believes they can predict deliverable quantities and make predictable forecast to their customers. Since employees meet the expected targets, then the customer receives expected quantities as forecasted. Management believes quotas are a win-win-win situation. Employees win because they know the expected their performance expectations, management wins because they receive predictable quantities of units and customers win because they receive expected quantities in a given amount of time. What are some examples for quotas? 1) Production worker must make a minimum of 100 units an hour. 2) Phone marketer must call a minimum of 15 people an hour. 3) Customer service must input 10 orders every 4 hours. There are four necessary items for creating a quota. Employee A and Employee B work in the same area and have exactly the same quota. Management makes the quota equal to the average production rate of all the employees. Employee A, works hard, fast and smart. Employee A exceeds the target. If the target is 100 units an hour, employee A makes 120 units. However, overtime, employee A changes his works habits. With peer pressure, he realizes the extra effort doesn't help him. He scales back only to meet the quota. Because of the quota, the company loses out of his extra available production. Also management loses out on understanding and implementing his methods for the improved production beyond the goal. Employee B, works hard and tries his best. Employee B performs less than the target and makes 80 units an hour. However every unit produce meets the quality standards. Management, not realizing people perform differently from each other, reprimands the employee for not meeting the target. Management feels the reprimand will motivate the employee. Instead it demoralizes employee B. Initially, his performance may slightly improve, but overtime, due to the negative feelings, employee B production decreases. Overall, this causes employee dissatisfaction and employee turnover. Because of training and hiring expense, employee turnover is costly for the company. In addition new employees tend to make defects at a higher percentage, which adds to the cost. The above example based the production target on the average production. Where can a target be set that makes management and employees happy? This is not possible. Based on normal distribution, If you lower the target to the start of the bell shape curve then everybody will produce at that lower rate and not try to increase production. If you set the target to the end of the bell shape curve then moral will be extremely low because 99% of the employees cannot meet this requirement. 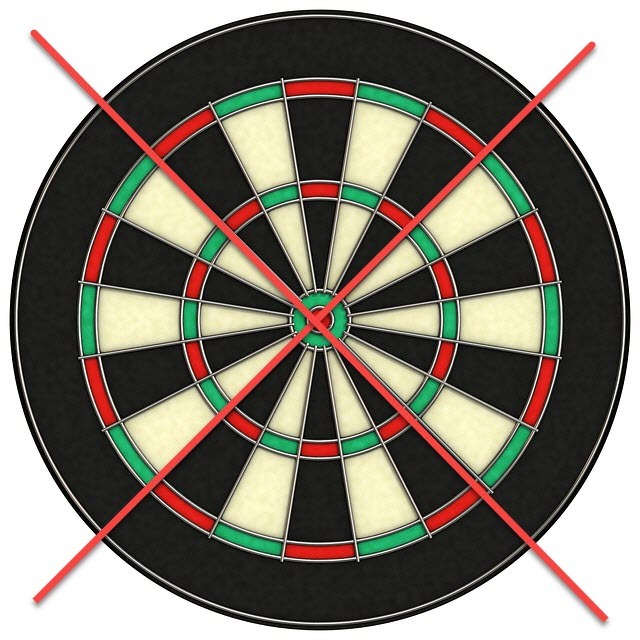 Companies that use production targets eventually lose focus on production improvement. Lets say all employees meet the production target. What will drive management to improve the production rate? Deming Point 11 argues that management becomes less involve in that area. Targets tend to create an invisible barrier between management and production improvement. Dr Deming Point 11 is not against measuring production rates. Measurement is key to improvement. But instead of monitoring employees performance to targets, focus on improving the current output. In order to do this, management must be hands-on and study the details for the given production rate. Management needs to identify items that improve production rate and implement those items. Dr. Deming point 11 wants management to follow the PDCA cycle and use quality improvement tools to improve the production rates. Deming Point 11 believes one can use SPC charts to monitor production rates. If the production rates are within the control limits, then performance is normal. The control chart will show unexpected problems. If a point is above or below the control limits then examine the cause of this, learn from this and take appropriate action. The key behind Deming Point 11, to make significant change, you must eliminate targets. Focus on the process and system details that make the production. Don't focus on the end results, place your efforts into the details. Improvement comes with being hands on within the given area.